On the road at top-ranked Mount St. Joseph, No. 9 McDonogh started fast and finished strong, but in between the host Gaels had enough of advantage to hold on for a 58-56 MIAA A Conference basketball victory over the Eagles, Friday night in Irvington. The Gaels, who lost at home earlier in the week to surging Boys’ Latin, led 43-34 at the start of the fourth quarter and McDonogh outscored the Gaels 22-15 in the final stanza, coming up just two points short. The Eagles, who received a combined 35 points from Everett Cooper and Dave Brown, held an 18-13 lead after one quarter, but only managed 16 total points in the middle two quarters. St. Joe, which was led by 19 points from Ausar Crawley and 16 points from James Bishop, batted back to take a 27-26 lead at the half. St. Joe (15-4), which will likely surrendered its top ranking when the new poll is released on Monday, improved to 8-1 in the A Conference where it leads the Red Division. 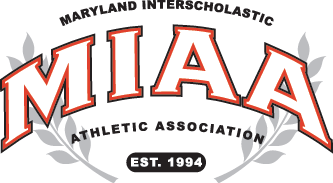 McDonogh (12-6) overall is tied for second place in the Black Division with Annapolis Area Christian, which defeated Gilman, 78-70, on Friday. Both sets of Eagles are currently 6-4 in the league.